Here’s some more general “Stuff” for ya! Happy 4th of July… or if you’re in another part of the world, Happy Day! Around here 4th of July is BIG. Totally big. Lake Tahoe is crazy-crowded. We’re headed up to see some friends near Tahoe City for a daytime BBQ, but we’ll be getting out of the craziness before the fireworks hit and heading back home to our new mountain home. 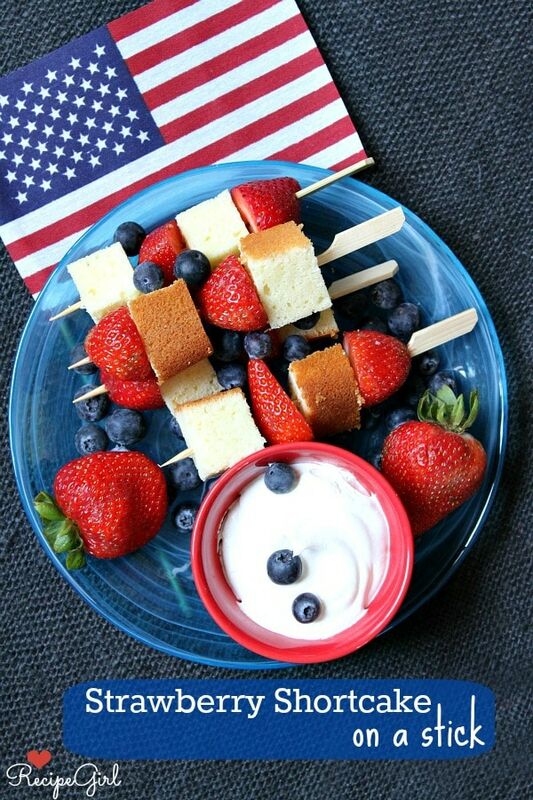 Here’s what I’m bringing to our friend’s 4th of July BBQ, and it just happens to be the recipe that I shared on Parade Magazine’s blog this week: Strawberry Shortcake on a Stick. 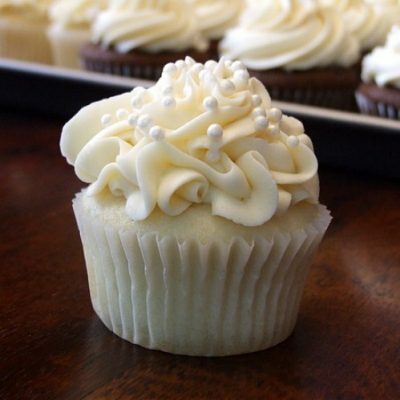 You can go super lazy with this one and use chunks of store-bought angel food cake and Cool Whip, or you can get gourmet and make Homemade Pound Cake and make a Sweetened Cream Cheese Whipped Cream. I’m going gourmet since I don’t have the responsibility of hosting the entire party. My husband surprised me with one of these this week. It’s the Mophie iPhone charger. My iPhone 4 battery doesn’t keep its charge very well, but now I don’t have to worry about it since you just slip it in this case (I have RED), and it will stay charged all day long. It’s definitely pricey, but if you’re on your phone a lot it’s totally worth it. 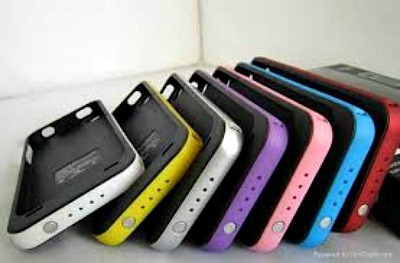 They make it for both the iPhone 4 and 5. 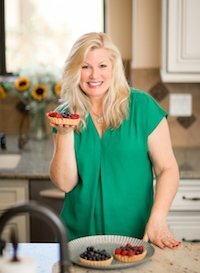 Here’s what’s been happening on my other food blog the last couple of weeks: Oven Baked BBQ Chicken (I can’t wait to try this- it looks delicious!! 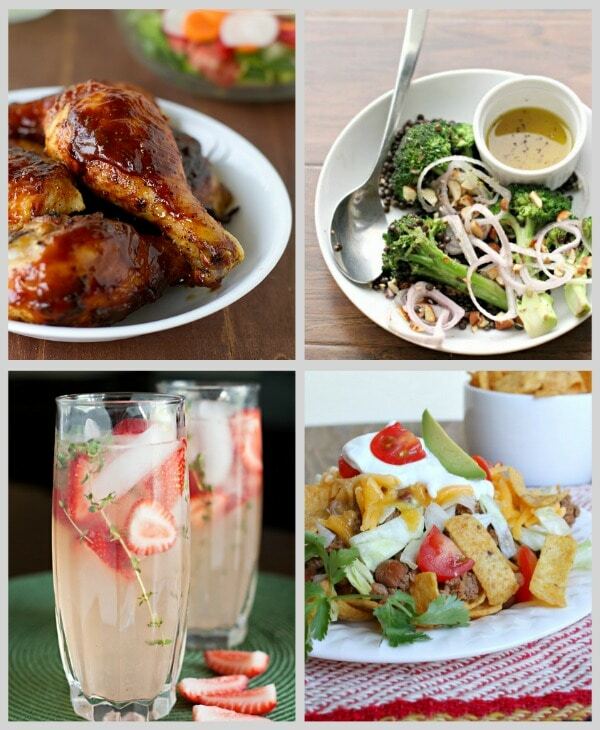 ), Honey-Mustard Broccoli Salad with Beluga Lentils (yummy vegetarian option), Strawberry- Thyme Lemonade (perfect for summer! ), and Southwest Frito Pie (my family’s favorite dinner). 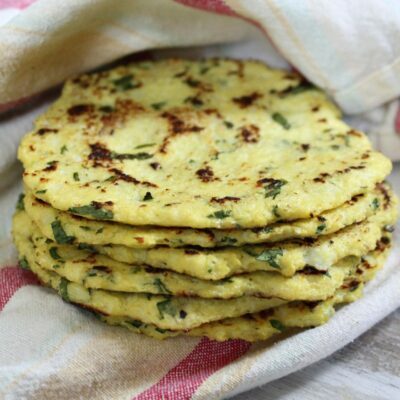 Check out the recipes by clicking on recipe titles. 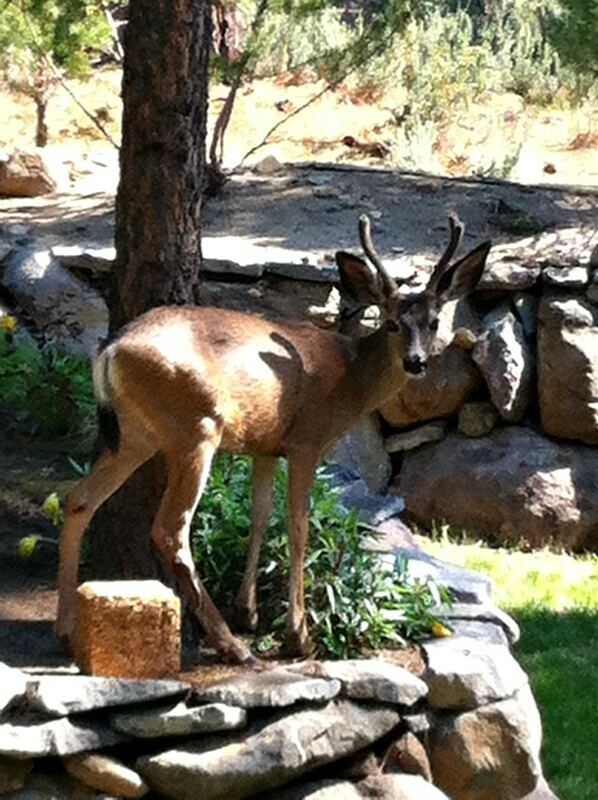 Spotted this guy on the rock wall in our backyard a few days ago. Totally did a double take because he was like RIGHT THERE when we looked out the window at 3pm… eating our plants, of course. We admired him for a few minutes and then chased him away. So cute. See that SEED BLOCK there? It’s a little something that my husband picked up at the nursery- and it brings around squirrels, chipmunks and birds for our entertainment. This is super cool > It’s a Spiceologist Block that can hold up to 44 fresh spices offered from a spice company called Savorx. Savorx is a different kind of spice company in that they offer unique culinary subscriptions (think: great recipes with spices shipped to you each month), and they also have over 100 spices in their online shop and in their local storefront. You can read a lot more about this new product > HERE. 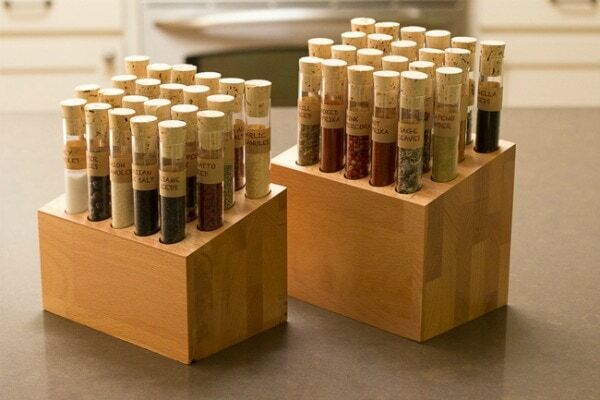 I’m thinking it’s the perfect gift for the cook who has everything- it’s a terrific way to organize your spices so they’re easily accessible. 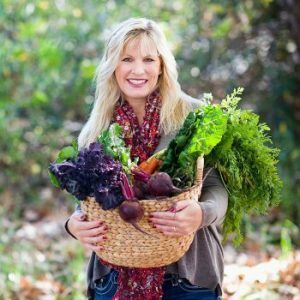 My friend Heather at Farmgirl Gourmet is involved in this cool venture with the Savorx company. Check it out! Can you guess who this model is from way back??? Hint: It’s a food personality… give up? It’s Martha Stewart! I saw ZipList share this on Facebook the other day, and I thought it would be fun to share too. I really had no idea she had been a model once upon a time. 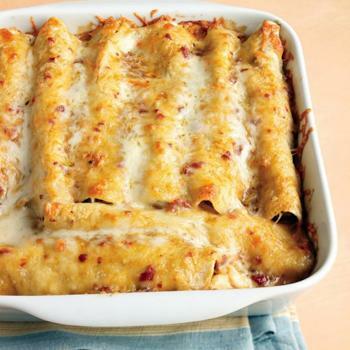 Incidentally, this is Martha Stewart’s most popular recipe of all time: Lighter Chicken Enchiladas. I must try them! Here’s a sneak peek at part of our house: the front porch. IT’S MY 1ST FRONT PORCH EVER! Seriously, I’ve lived in a lot of houses in my life and I’ve never had a front porch. I love it. It’s missing rocking chairs (which we’ll get eventually), but since the rest of our house is pretty much void of furniture at this point, we’re working on the inside first! If you’re in the USA, I wish you a happy and safe 4th of July, and if you’re elsewhere… I wish you a fabulous rest of the week. I have a front porch that I want to clean up and make it a place that I want to go sit out on and relax. It’s on my summer list of things to do. I love the shortcake on a stick, Lori! And I really need that phone charger case! Way jealous about the porch! I heard Martha was a model once, but never saw the pictures. And a Mophi is on my wish list. Just have to upgrade my iPhone 3! 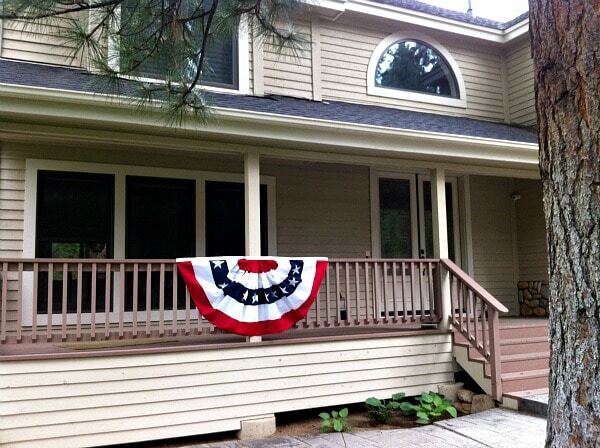 Hope you had a lovely 4th in your new digs!